2018 Awards Dinner - THANK YOU! Thank you to our friends and supporters who joined us Tuesday night to support the future of artmaking at Skowhegan and to celebrate our honorees, Peter Doig, Betye Saar, Barbara Lapcek, ArtPlace America and Jamie Bennett! 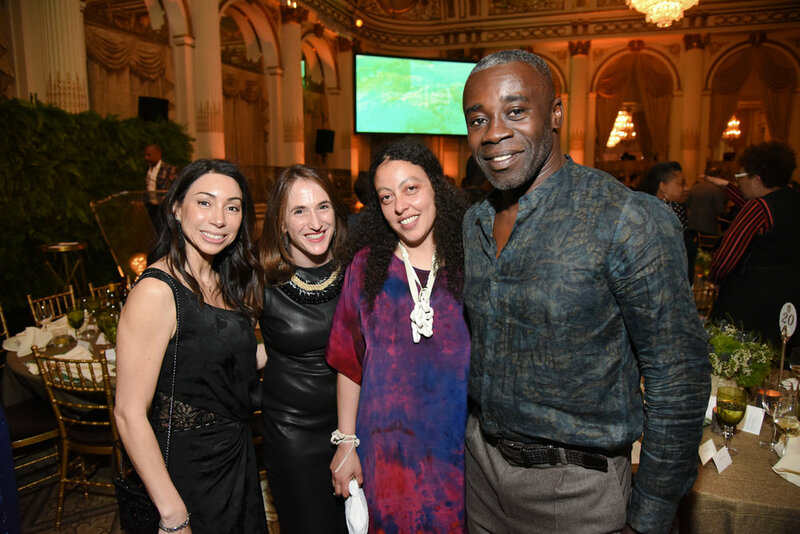 We would like to extend our gratitude to our co-chairs Ann L. Gund, Rachel Feinstein (A '93), Stephanie Hunt, Victoria Love Salnikoff, Ursula von Rydingsvard (F '88), Nari Ward (A '91, F '03); award presenters Shaun Leonardo (A '04), Whitfield Lovell (A '85, F '01,'02, '05), Chris Ofili (F '11), Judy Pfaff (F '83, '86, '94, '11), and Alison Saar (F '93); and auction item donors Hotel Santa Fe and SITE Santa Fe, Byron Kim, (A ’86, F ’99, ’13), Helen & Brice Marden, (F ’70, ’71 ’76, ’91), Golden Rock Inn Nevis, Glenstone Foundation, Anne Wrinkle, and auctioneer Gabriela Palmieri. Thanks also to GUCCI for donating a scholarship to an artist accepted into the 2018 program. Over 450 people came together to support the future of Skowhegan and raised over $900,000! We are so grateful to everyone who participated in this amazing celebration, and whose presence made for such inspiring energy in the room. Peter Doig was born in Edinburgh in 1959 and raised in Trinidad and Canada before settling in London in 1979 to study painting. Doig is recognized as one of the most inventive artists painting today. Few artists of his generation have done as much to explore the evocative possibilities of painting and its capacity for depth and meaning. Drawn from various sources including personal snapshots and popular film, Doig's paintings are by turns melancholic and hallucinatory. Over a career spanning more than three decades, Doig has been the subject of a number of major exhibitions worldwide, including a mid-career survey organized by Tate Britain in 2008. In 2013 the Scottish National Gallery, Edinburgh, organized No Foreign Lands, a critically lauded exhibition focused on recurrent motifs in Doig's paintings; the exhibition later traveled to Musée des Beaux-Arts de Montreal. In 2015, an exhibition devoted to the artist's paintings and prints was on view at Louisiana Museum in Humlebæk, Denmark, after originating at Fondation Beyeler in Basel, Switzerland in 2014. Doig lives and works in Trinidad. Born in Los Angeles, Saar is celebrated for her multimedia collages, assemblages, altars and installations consisting of found materials. Saar has received numerous awards including two National Endowment for the Arts Fellowships (1974, 1984), a J. Paul Getty Fund for the Visual Arts Fellowship (1990), and a Flintridge Foundation Visual Artists Award (1998). Included among Saar's numerous exhibitions are: Betye Saar: Extending the Frozen Moment, a major traveling exhibit organized by the University of Michigan Museum of Art (2005); Betye Saar: Still Tickin', Museum Het Domein, Sittard, The Netherlands; Scottsdale Museum of Contemporary Art, Scottsdale, AZ (2015); Betye Saar Black White/Blend, Roberts & Tilton, Culver City, CA (2016); Uneasy Dancer, Fondazione Prada, Milan, Italy (2016), Soul of a Nation: Art in the Age of Black Power, Tate Modern, London; Crystal Bridges Museum of Art, Bentonville, AR; Brooklyn Museum, Brooklyn, NY (2017-2018); We Wanted a Revolution: Black Radical Women, 1965-85, California African American Museum, Los Angeles, CA; Brooklyn Museum, Brooklyn, NY; Institute of Contemporary Art, Boston, MA; Albright-Knox Art Gallery, Buffalo, NY (2017-2018); and Outliers and American Vanguard Art, Los Angeles County Museum of Art, Los Angeles, CA; High Museum of Art, Atlanta, GA (2018-2019). In Fall 2018, Saar will mount her sixth solo exhibition at Roberts Projects (formerly Roberts & Tilton) Culver City, CA. Born in Yonkers in 1933 and a graduate of Barnard College, Lapcek began her career in the arts as the Founder and Executive Director of The Nommo Art Gallery, opened in 1964. Located in Kampala, Uganda, Nommo was the first art gallery in all of East Africa and continues to flourish today. On returning to America, Lapcek worked in an art program that brought visual artists and writers to New York State prisons and hospitals (1974-1977); at the New York State Artists Fellowship Program as Director of CAPS (1977-1982); and as executive director of Musica Sacra, New York City (1982-1984) before beginning her tenure at Skowhegan. During her twelve years of service, Lapcek was instrumental in Skowhegan's transition from a program primarily focused on painting and sculpture to one in which conceptual, performance, and technology-based practices were embraced and nurtured. 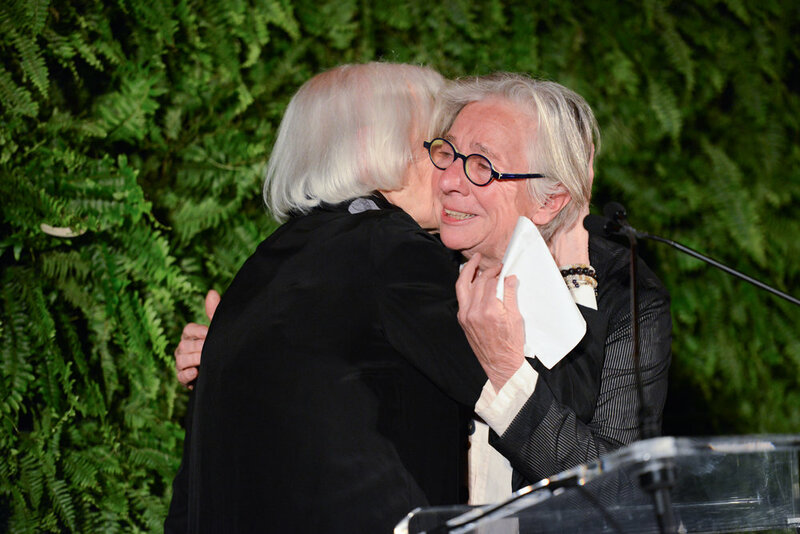 A staunch advocate for both creative and artistic diversity, the scholarship programs Lapcek initiated and the campus building projects she helmed ensured the thriving multiplicity of practice and community that has made Skowhegan so renowned and successful today. Jamie Bennett has been the Executive Director of ArtPlace America since January 2014. 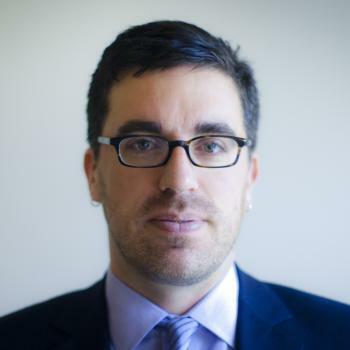 Previously, Bennett served as Chief of Staff at the National Endowment for the Arts and Chief of Staff at the New York City Department of Cultural Affairs. 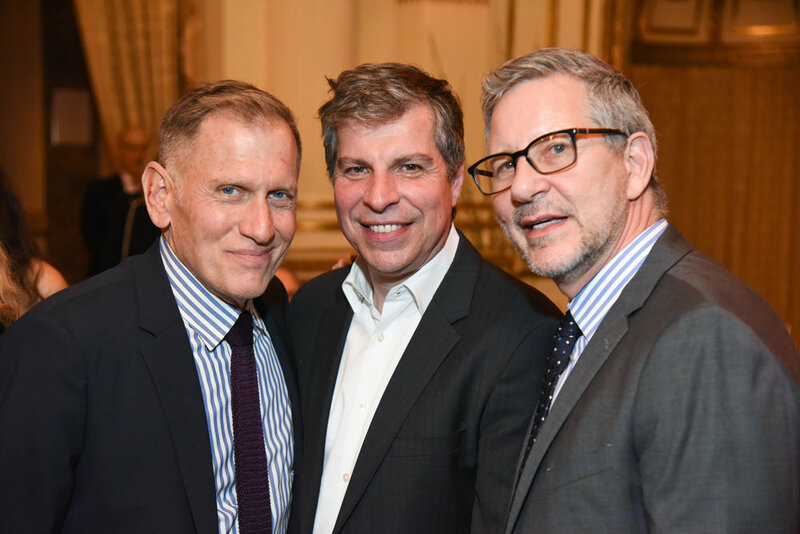 He has also provided strategic counsel at the Agnes Gund Foundation; served as chief of staff to the President of Columbia University; and worked in fundraising at The Museum of Modern Art, the New York Philharmonic, and Columbia College. His past nonprofit affiliations have included the Board of Directors of Art21 and the HERE Arts Center; the Foot-in-the-Door Committee of the Merce Cunningham Dance Foundation; and Studio in a School’s Associates Committee.